At the recent Second International Jackal Symposium in Greece, scientists and experts had the opportunity to discuss Golden Jackal and related species research, ecology, conservation and management. This is the third posting in a series on our website about the studies from the symposium. Our other posts about the latest research on golden jackal include information about their diet and distribution. Here this post looks at the human-jackal conflict, and offers insight into current and future coexistence. The symposium took place in Greece, where people ruthlessly persecuted the golden jackal (and also wolf) until the early 1990s. It had the legal status of ‘vermin’ – people even poisoned the jackal. It wasn’t until the late 1990s that the golden jackal population began to recover in Greece. One of the topics discussed at the symposium was the distribution of the golden jackal. For example Giorgos Giannatos presented preliminary results of the territories of the golden jackal in Greece. The population trend is currently unknown, and it is possible that the golden jackal never completely went extinct in the region during its prosecution. The study is still ongoing, but it will be interesting in the future to see how the golden jackal lives in such a human-dominated landscape. Many talks at the symposium focused on the return of golden jackals to human-dense areas, and how we can learn to live with golden jackals in the future. Golden jackals very often slip under the radar, but research is showing that human density is affecting their abundance. For example in Bosnia and Herzegovina, the golden jackal population is increasing. This was demonstrated in a study by Trbojevic et al presented at the symposium. Their results show that the presence of human food sources is leading to the increase of the golden jackal population in urban areas. The golden jackal has a very flexible diet, which means that they will feed on human foods amongst their traditional meso-carnivore diet (30-70% meat). Thus the presence of humans increases the food available to the golden jackal and helps it expand its range! The increase in golden jackals in Europe should not be cause for concern. The golden jackal is not a threat to human safety. Often the golden jackal will move away from a human before you realise it is close by. However a study in Ukraine (Rozhenko and Kormyzhenko), presented at the symposium in Greece reported that golden jackals did not show anxiety close to humans. They suggested it was possible to approach a jackal up to 150-200m, if you knew it was there. There are some concerns relating to golden jackals preying on livestock, but this is a rare occurrence, and can be minimised with proper livestock protection methods. These livestock methods are the same as recommended across Europe when protecting from the wolf. 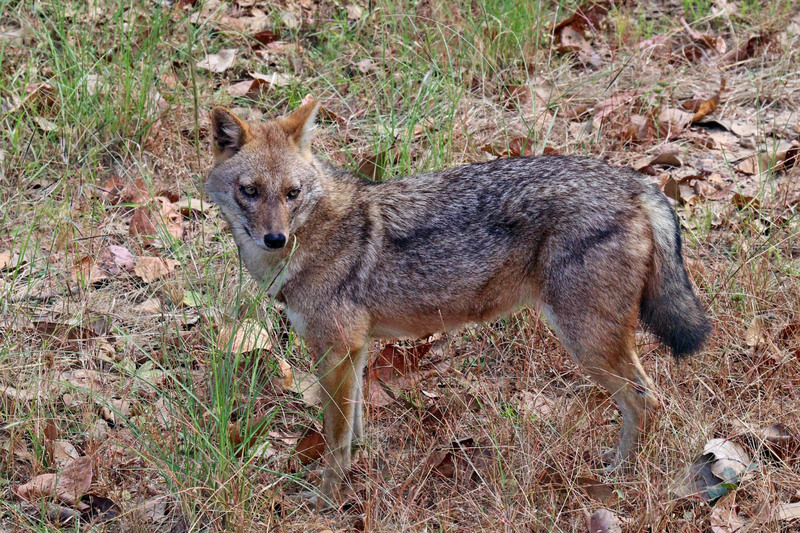 The golden jackal plays an important role in an ecosystem, like the wolf and other species. People should not fear, hunt or poison it like in the past. Instead we can learn from history and treat the golden jackal as any other species in its natural environment. You can learn more about the golden jackal on our website.